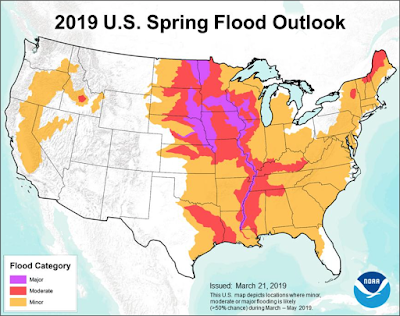 This is NOAA's outlook for widespread flooding from now through the end of May. 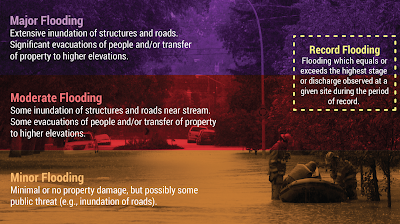 It does not include thunderstorm-related flooding due to heavy rain. They are calling the flood potential for this spring, "unprecedented." Below is an explanation of the descriptive words. How would you contact family and friends? How would you and they evacuate? Do you have a list of what you would take with you if you need to evacuate quickly? Things like financial records and precious family albums and records? 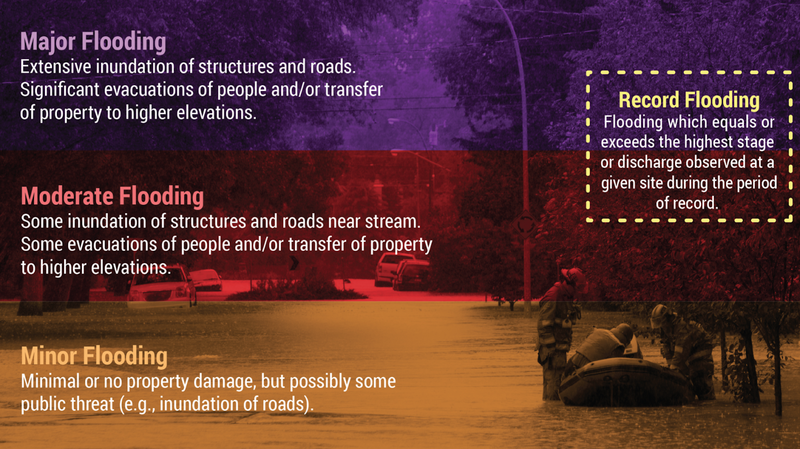 Do you have a way of receiving flash flood and flood warnings quickly? Does your business have an alternative location or does it have a way of getting vital records and equipment out of danger? Keep your car full of fuel. Keep your computers and phones fully charged. I'll update on this threat from time to time.